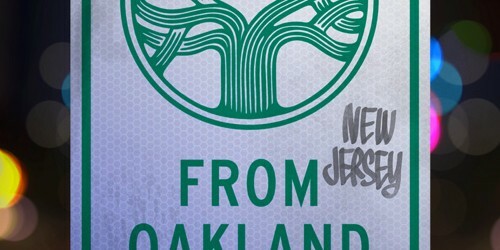 This Friday, catch a great show in Oakland while supporting Hurricane Sandy relief efforts! 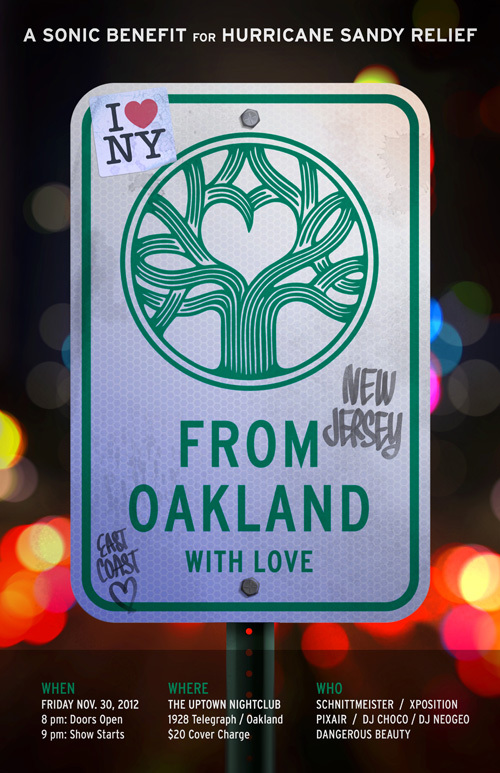 FROM OAKLAND WITH LOVE: A Sonic Beniefit for Hurricane Sandy Relief. Featuring music by Schnittmeister, Xposition, Pixair, Dangerous Curves w/ DJs NeoGeo (Canned Beats, Nodphonics, The Formula) & DJ Choco (Prolific, Reignforest Collective). Featuring Musicians and DJs from Pixar Animation Studios. Raffle Prizes! Belly Dancers! Rock and Roll! Booty Shaking Dance Party! All proceeds go the American Red Cross in an effort to help those affected by the destruction of Hurricane Sandy.